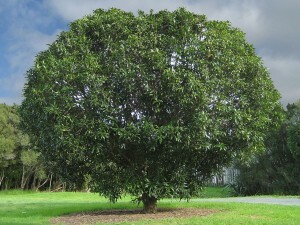 Black maire is one of five Nestegis species which are endimic to New Zealand or shared with Norfolk Island and Hawaii. It is an attractive, ell-formed forest tree growing to around 20m with a stout, clean 1.5 metre diameter trunk, covered in ruptured bark. It has dark glossy green leaves, and roduces cherry-red, 15mm long fruit. Black maire grew primarily in forests south of Auckland down to the north of the South Island, but as it was a popular firewood (burning slowly and producing considerable heat) much of it has been felled. It remains relatively common west of Taupo and in the King Country. A lesser know variant, white maire (N lanceolata), is a similarly formed tree but of smaller size, has creamy-white timber with less spectacular grain than black maire. Black maire seasons quite well with minimal distortion, but slowly because of its density, and slabs more than 50mm thick are prone to checking, especially if not dried slowly or where there is a mix of heart- and sap-wood. While the sap-wood is creamy in colour, the heart-wood has an often beautifully figured even grain, and is a rich yellow-brown to dark brown, often with black streaks. The timber is dense (only southern rata (Metrosideros umbellata) is denser among New Zealand trees), close-grained, and waxy, often with interesting figuring, but the puriri moth often creates challenging holes. 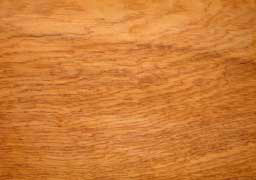 Black maire is hard (probably New Zealand’s hardest wood) heavy and strong, and mature black maire is extremely durable. As a result it was used by early European settlers as a substitute for lignum vitae for bearings and pulley blocks. Maori used it for digging sticks, wedges for splitting wood, canoe paddles and bailers, beaters and mallets (but it was generally too heavy for weapons, other than for very thin koi koi double-pointed spears). Early Europeans used it for bridges, wharves and structural uses. of the world’s best timbers for ornamental turnery as it details well without sanding. Paper-thin translucent work can be produced if turned green (wet).